Our summer continues to be crazy busy, and that is without vacation!! The two older boys still have swim practice five days a week, meets two evenings a week. Needless to say that makes dinner time crazy. The only relaxed dinners are on the weekends. Otherwise we are packing dinner to eat at the meet or we get home just before six and have dinner that I prepared earlier in the afternoon or something I can throw together quickly. That doesn’t mean we aren’t eating well and still baking. Quite to the contrary, with the garden going gangbusters with tomatoes, zucchini and squash we are eating quite well. I just don’t have time to photograph it all and write my recipes down. 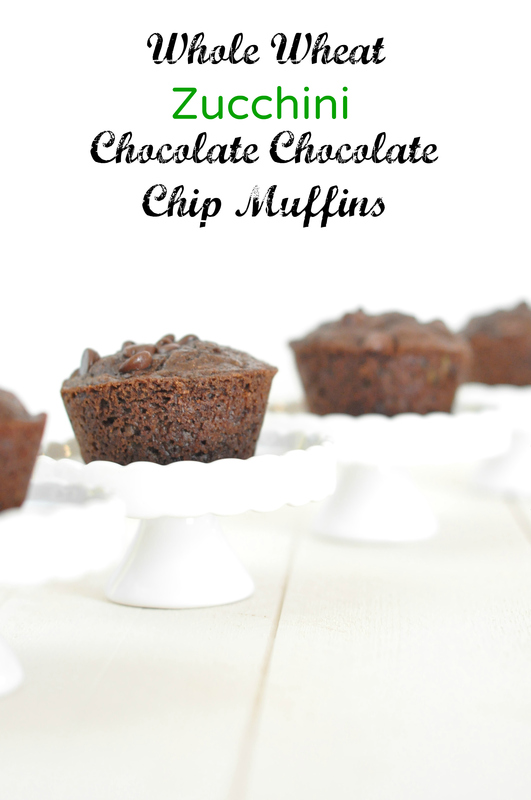 This past Sunday I made three loaves of zucchini bread (froze two of them) and these muffins. It is a great way to use extra zucchini. Granted, it didn’t put much of a dent in our supply, but these muffins were a welcome change to roasted, grilled, sautéed and raw zucchini! Needless to say all the boys liked the muffins. What is not to like, chocolate and more chocolate? I’m not sure they even noticed the zucchini. It isn’t really noticeable so if you have anybody with a zucchini aversion go ahead and make these anyway. They are incredibly moist. The zucchini is great for making a moist muffin, but the yogurt and pear sauce are also wonderful. I used pear sauce I still had from last year’s canning adventures, you could easily use apple sauce instead. By using pear sauce and yogurt I was able to skip any added fat (butter or oil) all together. Factor in the whole wheat flour and these must be healthy, right?! They certainly make for a nice and quick breakfast when we are in a rush to get to swim practice, we’ll be making them again soon. Preheat oven to 350 degrees and grease or line a muffin pan. Whisk or sift together the flour, sugar, cocoa powder, baking powder, baking soda, salt, cinnamon, ginger and cloves in a large bowl. In a medium bowl whisk together the egg, pear/apple sauce, yogurt and vanilla. 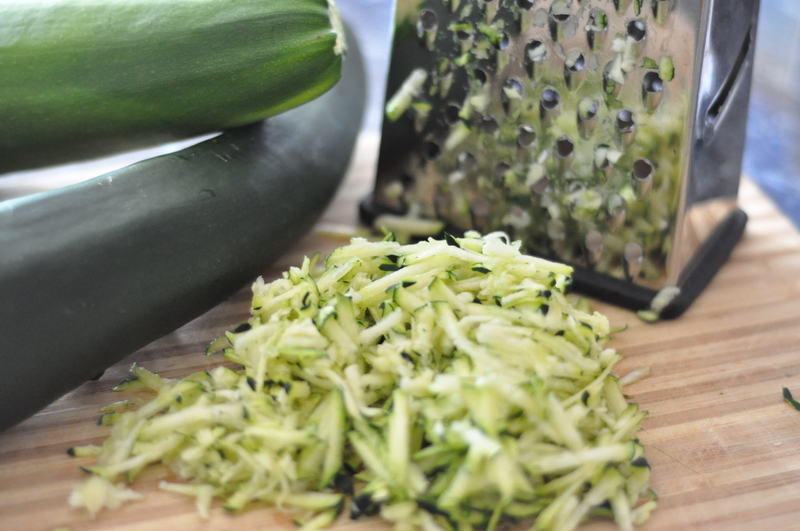 Stir in the zucchini. Gently pour the wet ingredients over the dry and stir just until combined, being careful not to over mix. Fold in the chocolate chips and pour into prepared pan. Bake for 20-25 minutes. 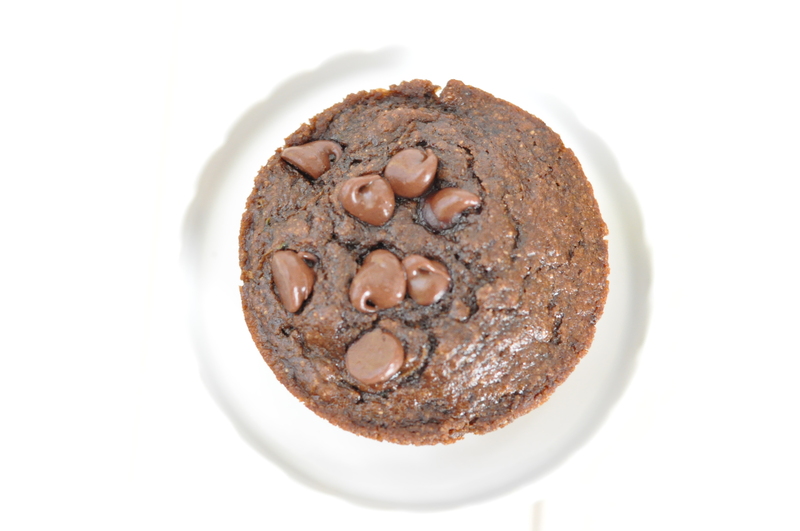 Who can resist a chocolate muffin? Good work with the zucchini 🙂 Carry on with your summer crazies! Wow, your little ones must be awesome athletes!!!! The night time activities have begun!!!! These muffins look like the perfect treat for the whole family 🙂 . 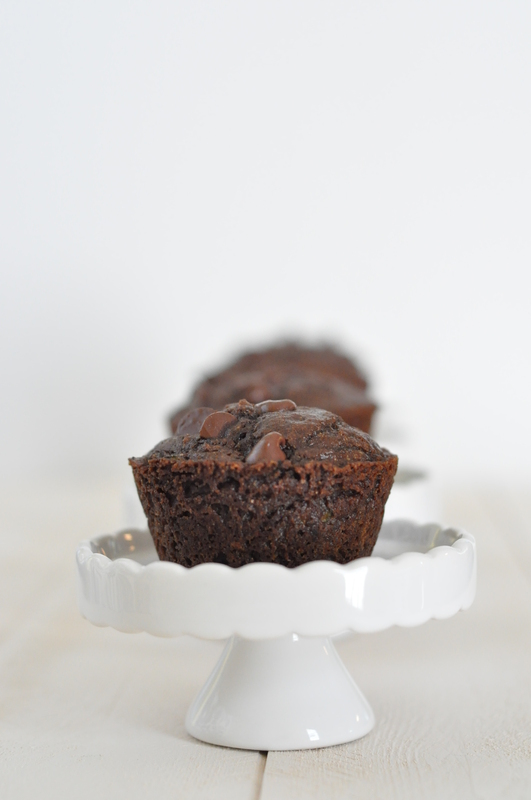 I have a double batch of these in my oven right now. I’m excited to eat them! I used white flour because I’m out of whole wheat, added a pinch of salt, and threw in a few white chocolate chips. Yay! I hope you enjoy them! The white chocolate chips sound wonderful. Oh my goodness, this is the BEST recipe!! I’m glad I doubled it. They’re almost gone already. I am so glad you like them. We sure love them too. I have so e shredded zucchini in the fridge now from my last shredding for bread, will be making muffins again tomorrow probably.